Alzheimer's Caregiving -- The Path to Heaven? 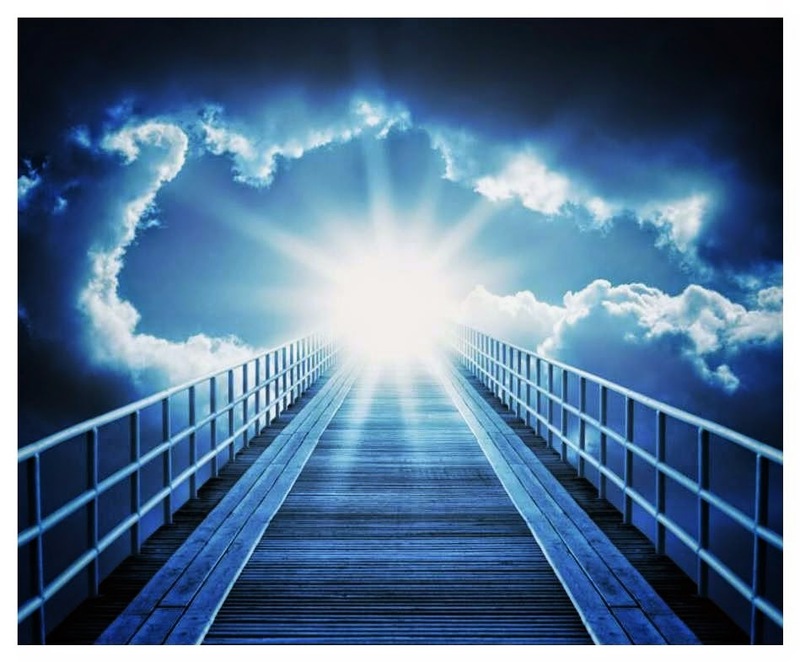 Is Alzheimer's disease Hell on Earth..or the Path to Heaven? As I write, I find myself thinking about Heaven and Hell. About my path from there to now as an Alzheimer's caregiver. I find myself thinking about my 8 plus years of studying and thinking about communication in schools. I say 8 plus because it all started at LaSalle College High School in Philadelphia. Later it became more formalized at the Pennsylvania State University (4 years) and the University of Georgia (4+ years). I can still remember vividly the day the acceptance letter came in from LaSalle. It was a Saturday morning. I opened it, read it and received the news -- 5500 students from all over Philadelphia and the Philadelphia area had taken test. 140 students made it into the class of 1968. This was not the first time I was a ONE. But it was wonderful to be a ONE. 13 years old. By the time I reached the age of 13, I had over 3,000 comic books. I still remember the day when a comic book went from ten cents to 12 cents. Shocking. I should mention by 13 I was on my third job, each one better than the one that came before it. I remember my first day at La Salle. You go to the book store and buy your books. When you get done you can't believe the pile of books. Maybe I should have gone to Father Judge or George Washington High School. I was proud when I learned I made it into the advanced Algebra class at LaSalle. Two homerooms made it into the advanced class. The other five classes had regular Algebra. I should have known something was askew. I had two yellow Algebra books, and my best buddy had one blue Algebra book. I still remember my father saying -- we don't care what grade everyone else made. We care about your grade. I learned a good lesson -- harsh as it seemed at the time. You can blame, or you can accept the blame. For some reason right before the fourth quarter of my first year at La Salle started I decided to start attending the ninth period. At La Salle there were eight periods in a day. Then there was the ninth period. This was Mr. O'Connor's after school class. To get home I had to hitch hike all the way down Cheltenham Avenue to 2nd Avenue. Two buses later and a half mile walk and I was home. On a bad day it took over two hours. It wasn't fun in the rain. When they called my class they said first honors -- Robert T DeMarco and Paul Moser. Two out of the twenty of us made first honors. Paul and I both attended the ninth period. After I entered the world of work when other people went home from work -- I stayed. Instead of eating ham and cheese on rye for dinner as a young man, I was hard at work. The ninth period paid off. I had other people type my papers in college and grad school. I often wonder what it would have been like to have a PC in high school and college, instead of the now ancient typewriter. Times change. Life changes. He then proceeded to tell me that I was going to burn in Hell for wasting my talent. I had to think about that for a day or two. I finally concluded he was wrong. It did worry me though. During the first two years of caring for my mother, I wondered many times -- did I go to Hell. Was Brother Emory right? Is Alzheimer's Hell on earth? Unlike most people that see problems, I see solutions. This is the way I have always viewed life. People come to me all the time with their problems. Problems make me feel calm. They make me think, and they make me feel. For me this is a pleasant feeling. The calmness. People that don't know me well think I am a rabbit. I talk fast, I walk fast, and it seems that I am going 100 hundred miles an hour all the time. I am not a rabbit. I plod along at my own pace. When I am at my best I have my eye on the finish line. One step by one step, I plod right past all the rabbits I see on the road. I am a turtle. Once you get in the problem solving groove things start to change. You experience the wonderful feeling of accomplishment. This feeling of accomplishment starts to trump all the negative feelings that come with Alzheimer's. Instead of a life that is filled with negativity, you start to live a life that is filled with positive energy. Alzheimer's brings with it a feeling of chaos. You might feel like you are spinning out of control. You might feel your entire body vibrate. This is not a good feeling. It is disconcerting. I felt it, so I know. I wondered -- is this Hell? As an Alzheimer's caregiver ask yourself a first simple question -- if not you who? If you don't do it, who will? There is no blame in Heaven. No blaming Alzheimer's. No blaming the person suffering from Alzheimer's. No blaming your unlucky, uncertain fate. No blaming yourself. You are made of flesh and blood. We all are. Don't blame. As an Alzheimer's caregiver you need to ask yourself. What am I accomplishing? What did I accomplish today? Few people will get the opportunity in their life to accomplish what you are accomplishing. They won't get the opportunity to think and feel life the way you do. They won't get the opportunity to feel their heart growing bigger and stronger each day. No matter what happens in your life in the future you have that gold card to hold and to use. When you are feeling sad, lonely, or ready to give up -- go into your bunkhouse. Think about your role in life as an Alzheimer's caregiver. Think about what you are accomplishing. Think about the wonderful person that you are. Think about the wonderful safe, secure environment that you are providing for another human being. Keep looking. Say these words. My name is (fill in the blank), I am an Alzheimer's caregiver. My (fill in the blank) suffers from Alzheimer's disease. I'll close by telling you this. I lost track over the years of how many thousands of people told me I am going to Heaven as a result of my writing here on the Alzheimer's Reading Room, and the caring for my mother Dotty. Maybe this is our path. Maybe this is our path to Heaven.